This is our signature project. What are Flexible Learning Spaces? 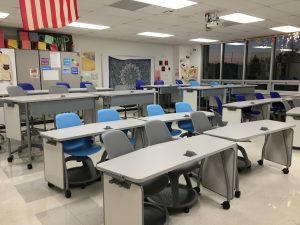 Flexible learning spaces (FLS) are innovative classroom pieces that can be easily moved to facilitate independent study, small group collaboration, or total class interaction. Adaptability promotes student engagement and aids teachers in integrating technology. Flexible learning spaces have been utilized in colleges for years. In 2017, we donated $20,000 to the Batesville Community School Corporation to fund a new pilot FLS space for BHS English teacher Paul Satchwill. 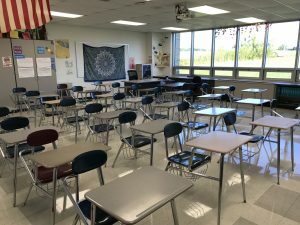 Survey results from students who were actively learning in one of these spaces showed an increase in creativity, collaboration, and critical thinking skills. While many public education foundations are not sponsoring these pieces, our foundation thinks that the environment in which students learn is just as important as the content. In 2018, we donated $30,000 to BCSC to purchase items for the third grade classrooms at BIS and the first grade classrooms at BPS. This will bring our total donated to BCSC for FLS to $50,000. Here are some photos from the BCEF board visit to our 2018 Flexible Learning Spaces grant recipients: 1st grade at BPS and 3rd grade at BIS.